Internal fissures have reared ugly head again in Zimbabwe’s ruling party the Zimbabwe African National Union Patriotic Front (ZANU PF). For decades, history has shown that where there is smoke, the likelihood of having a fire is extremely high. Closer to home, when rumours of factions first break into the public domain, between the then vice president, Joice Mujuru’s team Gamatox and Emmerson Mnangagwa’s team Lacoste, the party lashed at the claims as baseless, unfounded bar talk. Then came the generation 40, era, again, it was rubbished as non-existent. The official narrative remained the same; there was only one centre of power, President Robert Mugabe, the warring parties even deceptively professed allegiance to the one such centre of power. However, with time the cracks got deeper enough to be concealed with clay or concrete. History is currently repeating itself. 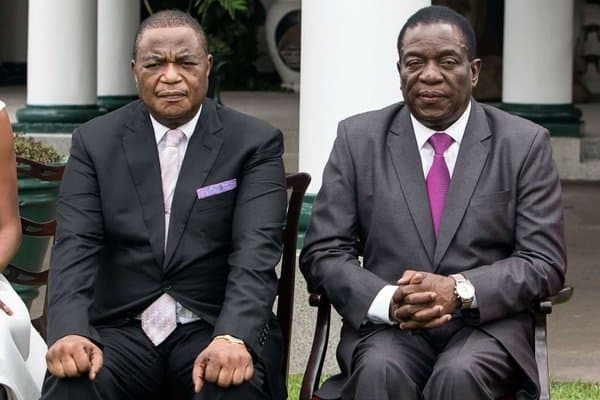 Soon after coming to the helm, rumours that President Mnangagwa and his deputy Constantino Chiwenga were not in good books became public secret, despite the two laughing off the claims. Apparently, citizen political commentators have described the recent vote of no confidence on some ZANU PF Youth League leaders as a clear sign of the impending implosion in the country’s ruling party, adding that it is now eating into President Mnangagwa’s sleep. Votes of no confidence have been passed on ZANU PF Youth League leaders and ruling party chief whip, Pupurai Togarepi, and his administration on charges viewed by many as meant to settle political scores. This follows the reportedly unwarranted arrests of other youths leaders while Mnangagwa was away, for allegedly setting a ZUPCO bus alight during the recent protests to which Terrence Mukupe comforted them by saying the father (Mnangagwa) was to come soon and it would be time for revenge. History has it that whenever things were not in order in the ruling party, the youth league has been the indicator. Your publication ZwNews.com, sought a human face to the matter, asked ordinary citizens of what they make of the recent developments in the ruling party. “Mnangagwa can drop of stress induced stroke anytime, the odds are pitted against him, with internal fissures now a real danger, while the economic and political situation continues to deteriorate. “To me it did not come as a surprise when he recently called for a rushed and deceptive national dialogue. He is under unbearable pressure both from outside and within his party,” said a Harare resident who only identified himself as Sadat. He added that another implosion is imminent, and that would be deadly for Mnangagwa, for he lacks the charisma that Mugabe had. “Mnangagwa is not as authoritative as Mugabe was, his voice is not so commanding, he can not survive any breakup. “To compensate for his lack of command, he kills instead,” added Sadat. He said leaders with command do not kill in order to impose authority. “I remember one time when warriors fans invaded the football pitch, celebrating their team’s win of the COSAFA cup in South Africa. “While the security was in sixes and sevens trying to get the fans return to their seats, it only took Warriors captain Ovidy Karuru a word, to sent the fans back to their seats, and they did so peacefully. True leaders have commanding voices and people listen to them,” he added. 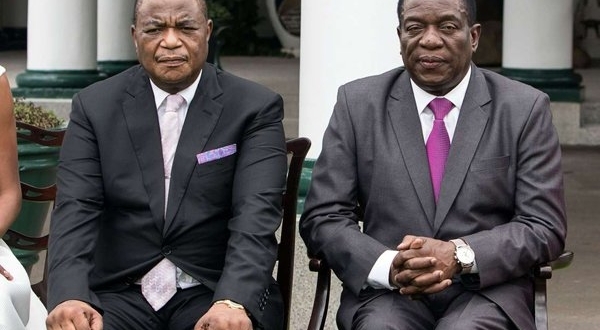 Another citizen analyst Agnes Makuzva said the alleged rift between the two (Mnangagwa and his deputy) are now an open secret. “All is not well in the former revolutionary party. It is a matter of time, and I do not see Mnangagwa surviving this one,” she said. She agreed with Sadat saying Mnangagwa is facing a looming breakup of his party, as evidenced by the recent events in ZANU PF. She added that factionalism had been undermining the party and that the worst thing was that President Mnangagwa’s reputation has been bruised by the current human rights abuses at the hands of the state agents.